I see you there with that unsure, grim expression on your face. Don’t let the idea of new environments and jittery nerves get to you. Traveling can actually be a very fun and rewarding experience. What’s unique about studying abroad? Traveling can help you in many areas of your life, including developing useful life skills and the ability to cultivate a more rounded, international worldview. When you study abroad, you have the unique privilege of taking courses that are not available at your own university, the opportunity to possibly learn a foreign language, and the prospect of making new friends from all around the world. You can do all of these things while taking classes offered at a host school, which provides you with credits for your specific degree once you return to America. This won’t even cause you to graduate late; you can still get your diploma right on schedule. In most cases, it’s possible to use your financial aid, grants, and student loans for study abroad just as you would if you were going to school in the States. Granted, there might be some extra paperwork to fill out and a passport to apply for, but that won’t be too tedious in the grand scheme of things. As for currency exchange rates, you can find information about the current exchange rate at XE. In most of the European countries, the dollar is a little lower than the British Pound, the Euro, and the Swiss Franc; however, in places like China, Japan, India, Russia, Canada, and Australia, the dollar is actually worth more. Contrary to popular belief, most places are safe. The media likes to report on all the negative aspects of various countries, because that is what sells; however, most of the world is a lot like your own neighborhood. Compared to what the media draws attention to, it is typically pretty boring. Granted, there are areas in certain cities that you should be wary of traveling alone in, but the best way to traverse that territory is to be aware of your surroundings and to be smart about the decisions you make and information you give out. According to a survey done by the International Education of Students (IES), after going on a year-long study abroad program, 98 percent of students report having an increase in self-confidence, 97 percent say the experience had a lasting impact on their worldview, and 82 percent of students convey that they acquired skill sets that influenced their career path. These are all very high percentages of students that have expressed just how strongly their experiences in foreign countries have influenced their future decisions and perceptions. 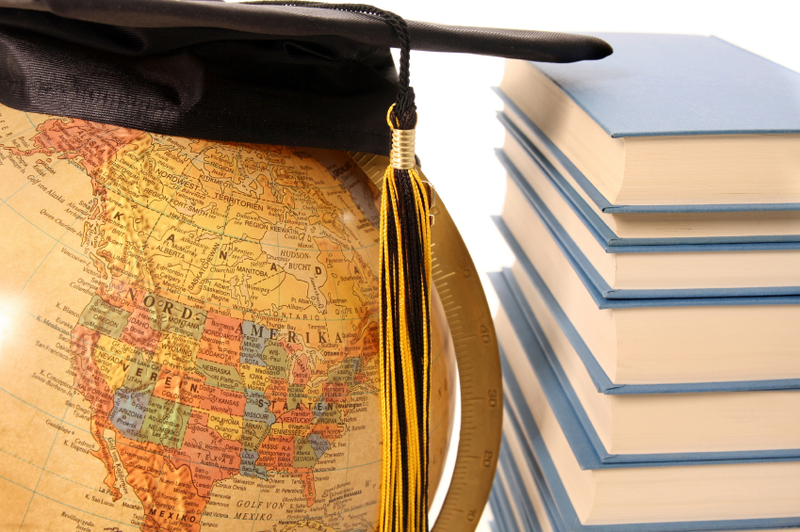 Studying abroad may or may not be right for you. Either way, evaluating the pros and cons of both sides should help you come to the conclusion that best fits your life and disposition. Whether you choose to stay in the US to finish your studies, or travel to a completely different country and experience their many ways of living, strive to step out of your boundaries –you might be surprised at the opportunities that pop up and the people you meet.